It’s all about plastic this week! And why shouldn’t it be, when it’s such a huge problem? 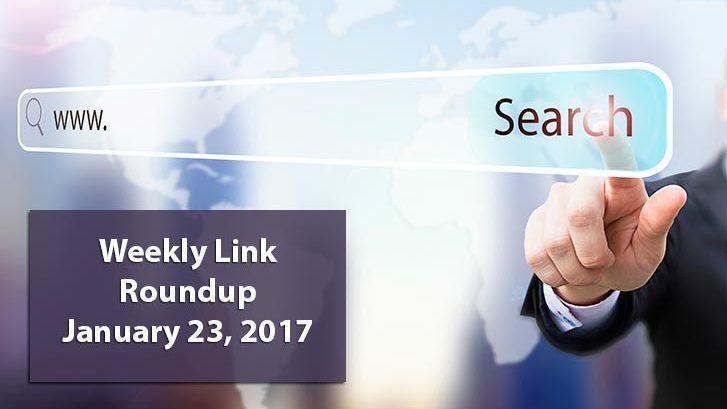 Check out this week’s links below. This awesome article from the Zero Waste Chef is a must read for anyone who spends more of their time in the kitchen then in the local fast food drive through. It lists proper ways to store produce, covering everything from asparagus to watermelon. Did you know that only 23 percent of plastic bottles are actually recycled? Along with aluminum cans, they are probably one of the most recycled items, but the amount of bottles actually recycled is still shockingly low. Did you also know that the recycling symbol on the bottom of plastic containers doesn’t necessarily mean they are recyclable in your area? Have a look at these and more facts you may or may not know about recycling plastic bottles in this article. “Procter & Gamble announced Thursday that its Head & Shoulders shampoo bottles will be recyclable and made of up to 25 percent “beach plastics,” from trash removed from beaches, oceans, rivers and other waterways.” Combat lifeless hair, dandruff and ocean plastics all in the comfort of your own shower! How can you not switch shampoos? While Unilever’s announcement may not be as inspiring as Procter & Gamble’s, it’s still a step in the right direction. Hopefully they will also take steps to include recycled plastics in the manufacturing of their plastic packaging as well. ” Plastic Ocean is a new feature-length adventure documentary that brings to light the consequences of our global disposable lifestyle. We thought we could use plastic once and throw it away with negligible impact to humans and animals. That turns out to be untrue.” If the trailer is any indication, it looks like it’ll be a great movie. Follow us on Facebook or Twitter for regular updates.